Happy happy Saturday snarky friends!! Time for a new SoSS challenge! 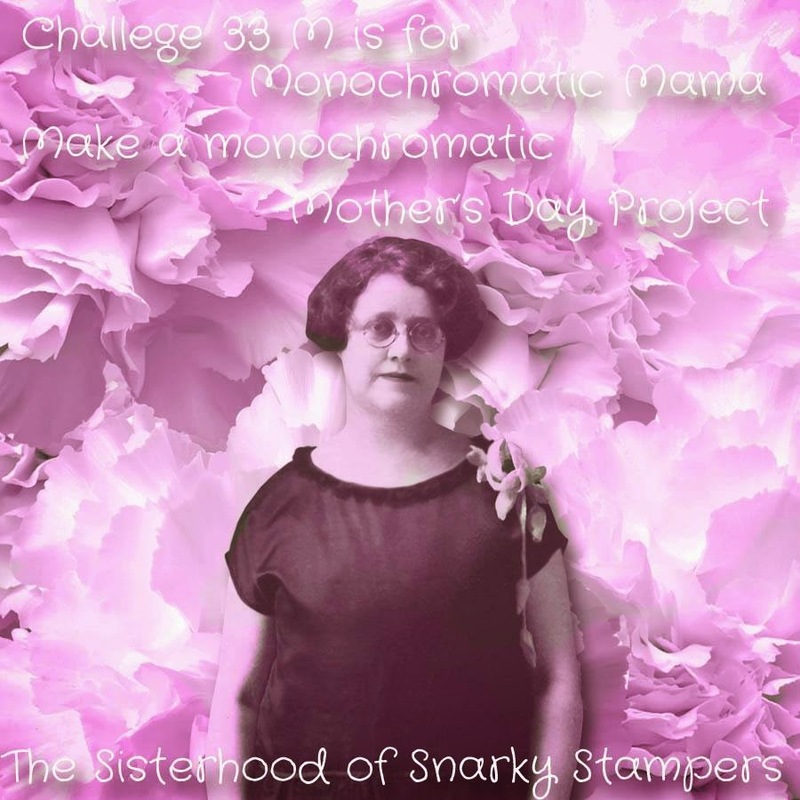 As mother's day approaches, Edna and the sisters of snark would like you to work your very best monochromatic magic and show us a mother's day card that is predominantly (like seriously predominantly) ONE colour. Visit the SoSS BLOG for all the details on the challenge and while you are there be sure to show my snarky sisters and our Guest Designer JESSA some crafty lovin!! I wasn't quite as brave as SISTER JESSI going ALL white for this challenge, I use a wee bit of black for my sentiment. Until next time, may the snark be forever in your favour! Great card, love the use of two folders. I can't seem to pull off a White on White myself, fab. job. I think this is fabulous. And you can READ IT. lol! Beautiful white on white card...so elegant! The sentiment pops on the white. Very pretty. 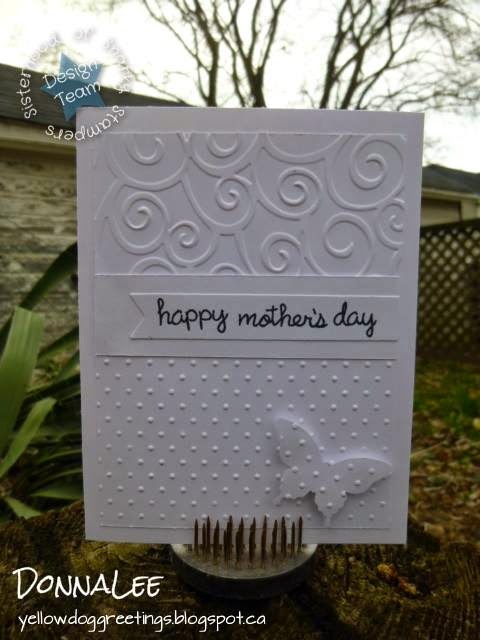 What a great card -- the textures look fab for this white-on-white card!